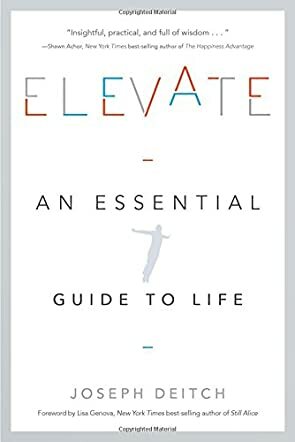 Elevate: An Essential Guide to Life by Joseph Deitch is a fascinating read that explores many questions that usually baffle everyone, and the author gives answers to these questions that are enlightening, powerful, transformational, and easy to absorb. The answers shared by the author are simple tools and techniques that can be used with ease every day. Readers will see a change in life when obstacles become possibilities, frustration becomes fascination, and the insights and skills for realizing the fullest potential in every relationship becomes clear and inviting. This book will change the way you look at life and is good for the betterment of your inner and outer journey. I liked the author’s approach to the concept; it is simple and easy to incorporate into daily living. Readers can see the world around them changing when they change. The insights and universal skills in the book will bring about miraculous changes, and reading this book is like taking a journey of increased awareness. The two parts of the book, Awareness and Action, form a dynamic and continuous spiral of growth, thereby creating a Stairway of Success in the process. The concepts are introduced with a nice quote and it is a good book for all those seeking to make changes in their lives by improving themselves. This book will help readers understand the importance of behaving responsibly and creatively so that the benefits reverberate throughout society. It is a handy guide that will inspire and motivate readers to elevate their thinking, and elevate their lives.